There have been a few times when I’ve been in the need for some extra caffeine so I’ve made myself a dirty Chai—Chai with a shot of espresso. But the other day I was in the mood for a little extra chocolate, so I had some fun and made myself a frozen mocha Chai. What, pray tell, is that dreamy concoction? It is Chai flavored with a swirl of chocolate syrup and is just about heaven. The good news is that making one of these isn’t all that hard. I like to make it first thing in the morning and pour it into my to-go cup for the morning school run. Sometimes I make it during nap time for an afternoon pick-me-up. Whenever you drink it is fine with me, just make it, and enjoy it, as soon as possible. 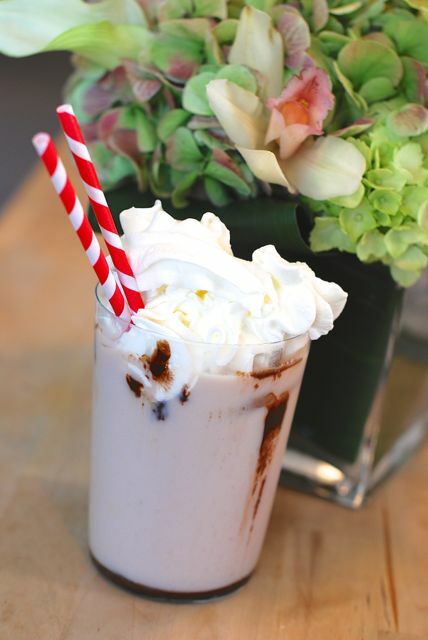 The creamiest, dreamiest beverage you'll taste all season long---and you can make it yourself at home! Step 1: Fill two insulated cups or tall glasses with ice cubes. Step 2: In a large measuring cup or mixing bowl stir the Chai, chocolate syrup, and milk until blended. 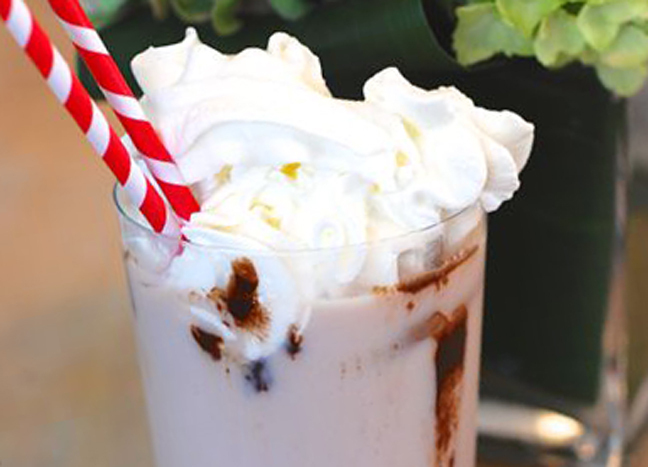 Swirl a little chocolate syrup around the inside edges of the glass for an extra shot of chocolate. Divide it evenly amongst the cups with ice cubes. There will be some left over. You can make a third, smaller, serving with it or save it for refills. Step 3: Top each Chai with whipped cream and chocolate sauce and serve.